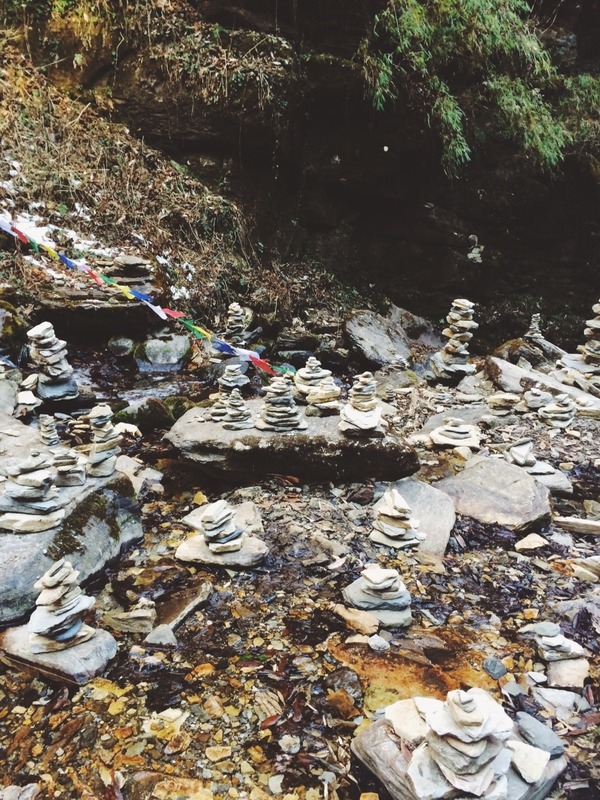 Further down the trail we see stones stacked into structures resembling pagodas. These are known as prayer mounds. In Buddhist tradition, each stone, blessed with a prayer by a passing traveler and added to a prayer mound, merges with the prayers of bygone travelers and enhances the spirituality..